This wallpaper is a tribute to the English alternative rock band XTC and their album English Settlement. 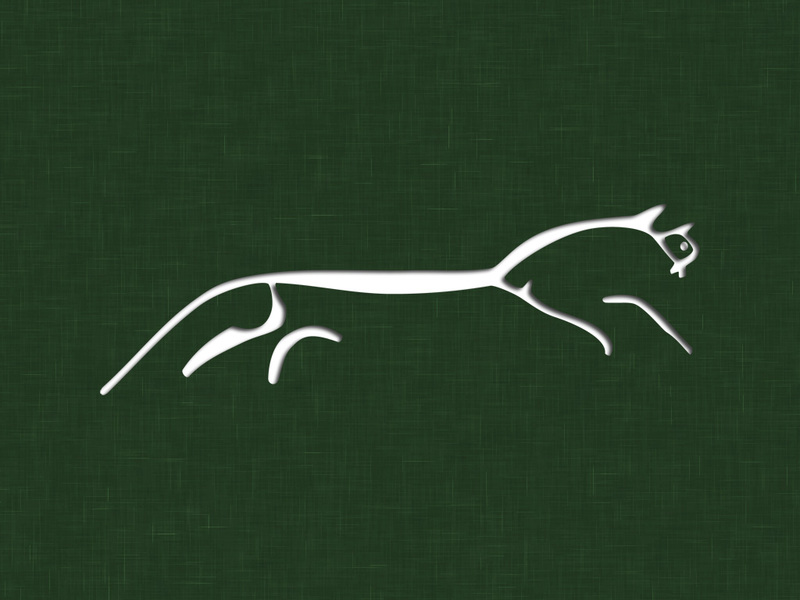 It is my rendering of the cover art that depicts the Uffington White Horse. The Uffington White Horse is a highly stylized 374 foot long prehistoric hill figure formed from deep trenches filled with crushed white chalk. Although the figure has been confirmed to be over 3000 years old it can only properly be viewed from the air. A mystery in history. I see some horizontal 'lines' (unintended) in the 1920x1080 and 1920x1200 walls. xinh2, do you see them as well? I do like the subject of te wall a good deal. I do not see any horizontal lines on either size (I just looked at the ZIP I uploaded at both resolutions in Photoshop CS4.) Where are they/it located on the image for you? xinh2, sent you a screen shot in pm.